I got hit with a double whammy today! Two different bloggers, living in different countries, nominated me for the same thing – the Liebster Award. Many thanks to Gretchen and Nam H Nguyen for their thoughtfulness. Now, down to business. I am singley ( I know. It’s not a word. I just made it up this very minute!) double responding. Which means I am pulling it all together into this one post. I came to the world of blogging as a respectable, mature aged retiree. Some would question my use of the word respectable. And even mature. I started this literary journey in August 2016. Why? ‘Cos I love to write. And I have this uncontrollable itch if I don’t. The inner muse or scribe or whatever you choose to call it just has to come out and bask in the sunshine of the blogosphere. Choosing the name for my blog was easy. I already owned a domain name – soulgifts.com.au. I just needed a name for my blog. I love writing stories, poems, all sorts of stuff. And alliteration. Telling Tales fell into my laptop. Followed in short order by Creating magic with words. Voila! Blog name and tag. Books – gosh. So many. Aussie authors – Bryce Courtenay, Colleen McCullough, Judy Nunn all tell great stories. Fiction founded in history. Lots of others too. My tastes are eclectic. Then there’s the more serious writers. Top of the list is Carolyn Myss, followed by Wayne Dyer and many more. And I have heaps of reference books and tomes on all manner of subjects I have a keen interest in or dip my toe into for a taste. Countries – Australia of course. I have lived here most of my life. This country offers everything from deserts to snow and anything in between. Have driven, bussed, railed and flown across vast expanses of it and not seen the half of it. Mind you, I have a keen interest in many other places in this world of ours. Where would I go ? Finland. That’s where I was born. But while there I would hop, skip and jump around all over the place. I have a friend living in Ireland and another in England who I would just have to visit if I were up that way. The pyramids fascinate me, so Egypt is a must. Ancient Greece intrigues me, so that’s a stopover. Eat, Pray, Love entices me to visit Italy and Bali. My children were born in India and Philippines so they are on the list….oh, there’s lots ‘n lots more. And I simply could not leave the house to go on these travels without my camera, handbag and The Retired Husband. A fellow Aussie and retiree recently found. Her posts are thought provoking and beautifully written. I am in awe of this 16 yo poet , Joe. A man of few words, but boy are they powerful! If you live the city and want to know what life on a farm is like, this is one great way of finding out. Very funny read. Paul likes to sprinkle the world with daily doses of love. 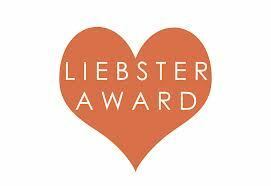 Liebster Award Information has been put together by Lorraine Reguly. It has a lot of very useful tips and links. Poetry Perfected is where you will find her poeming. Yep. I called my sister to tell her and she just said, “well it’s not the end of the world, it’s just an inconvenience.” Which is all it is. I’m a little worried about the return flight. But as I was speaking to the airline worker, she gestured to the man next to her and said he will reapprove your return flight since I will not make the 2nd leg of this trip. I have my flight itinerary printed out from American airlines for my return trip in 10 days. I am currently people watching against a wall charging my phone. The man I met in my little anxious rant–it’s like he talked me down from an emotional ledge. So glad we crossed paths. Travelling is so interesting – meet all sorts of people. Congratulations on the award. You deserved it, Raili. And thank you for nominating me for such a powerful award. I really appreciate it. Have a lovely day. Very well deserved! Were you guys stationed in the Philippines and India? If so, where were you in India? I’m curious because our Stefanie Kavitha was adopted from Bangalore. How fun is that…. Loved and deserved!